Enjoy your new home, with wide open spaces inside and out, long range mountains views to ease your cares at the end of each day. The two-story entryway will be breath taking to your family & friends, with the ceramic tile inlay. All the amenities are included in your new home, granite countertops, crown molding, tray ceiling, built-ins surround the gas fireplace in the family room, attached to the open eat-in kitchen surrounded by windows with your mountain views. The stainless steel appliances convey along with the washer and dryer conveniently located on the same level as the bedrooms. In the master bath you will relish a Jacuzzi tub with scenic views, a vaulted ceiling, and large walk-in closet. You will enjoy plenty of space to exercise downstairs along with a bright office, and another spacious family room plumbed for an additional bath. Your pets will enjoy the huge flat yard. 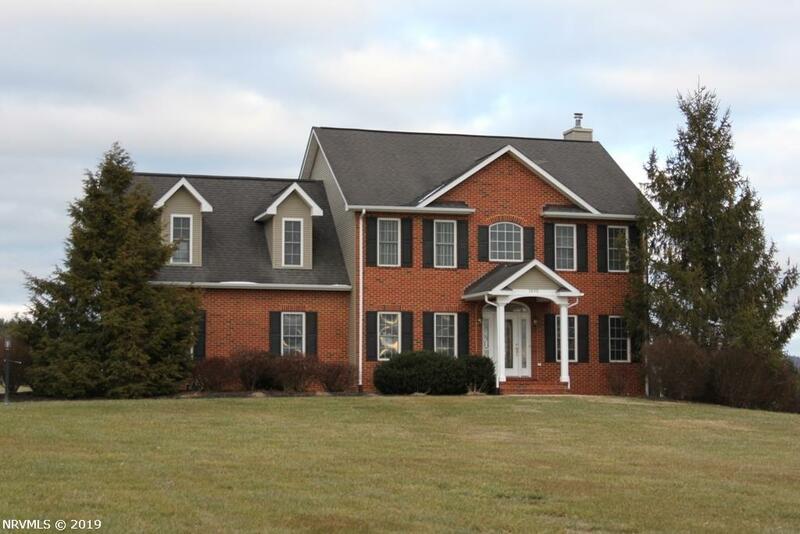 All this located in the cool country-side of Riner, just minutes to I-81, Christiansburg and Blacksburg. Courtesy of Hokie Real Estate, Inc.